Join the group to demand better insurance for you horse. This group has been set up to help parents find cover for accidents while their children are horse riding. A good horse insurance policy will provide personal accident, public liability, and emergency vet fees cover. 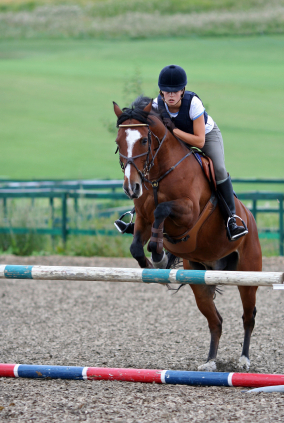 There are several young horse rider insurance policies which include personal accident insurance to help if a young rider suffers a serious injury when horse riding. Unfortunately, however, the insurance pay out is not sufficient to deal with the financial consequences of a horse riding accident which leads to a life-changing condition, such as quadriplegia. While insurance can't ever take away the risk of injury, we feel it is important for parents to have the option of obtaining additional financial protection for their young riders. If you would like to see this situation change for the better, please show your support by joining this group. Once the group has enough members we will start negotiations with insurers. In the meantime check out our article on The Best Horse Insurance. What other personal accident policies are available for young riders? Don’t schools insure children against horse riding injuries? Whether catastrophic injuries sustained while riding would be covered under the policy? If the policy pay out would be enough to cover the ongoing costs of managing paraplegia or quadriplegia? If the policy covers injuries sustained in training as well as competition? If you don’t have a copy of the terms and conditions of the policy to hand, try getting in touch with the Bursary or Finance team at your child’s school. What are the risks of riding horses? There is a material risk of suffering serious spinal injury as a result of horse riding - in fact the Stoke Mandeville spinal injuries specialist Dr. John Silver has shown that this risk is higher than in motorcycling. High-profile casualties include the late actor Christopher Reeve, who was left quadriplegic after his horse refused at a jump in an equestrian event in 1995, and The Times journalist Melanie Reid, who writes the weekly Spinal Column about her experiences.